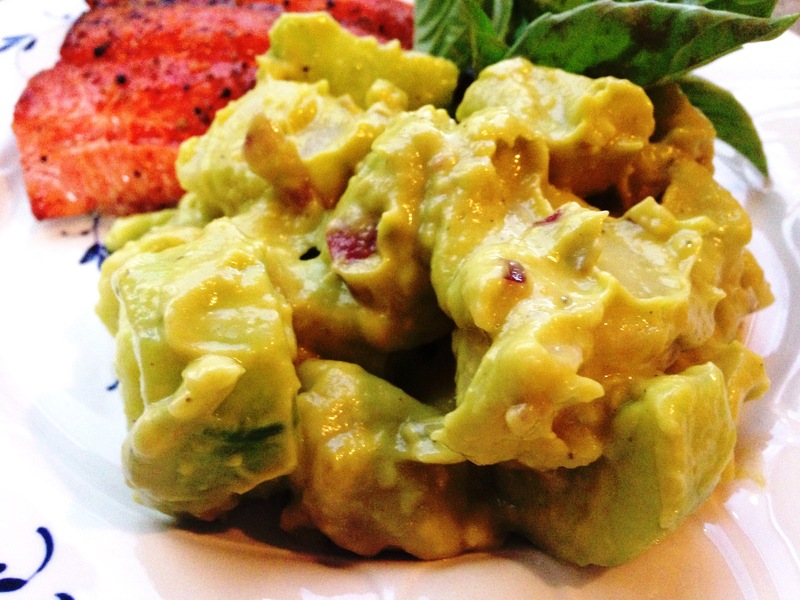 Try this very refreshing potato salad variation. Your friends will love you for bringing this over to your favorite outing. Boil, cook, peel, and chill potatoes. Cube potatoes into 1/2 inches. Combine avocado, lime juice, spices, and mustard in a mixing bowl, and mix well using a hand blender; consistency should be very creamy. Now add cubed potatoes, and cucumber; fold in carefully, ensuring that the pieces remain whole. Taste for saltiness, and adjust accordingly. Finish with your favorite fresh green herbs to garnish. This sounds delicious..! Nice way to use avacadoes to. Doesn’t the avocado turn brown quickly? You left cucumber out… but I figured it out when it was mentioned later in the directions.